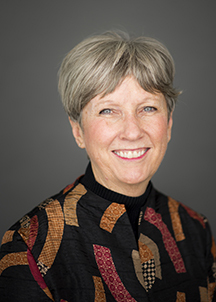 Jo Ann Walsh Dotson is an Associate Professor and Director of the BSN Program at Washington State University College of Nursing in Spokane, WA. Her research interests include public health, with a special focus on the maternal child health population and rural health promotion. Her dissertation topic was evaluation of home visiting services for high risk pregnant women. Dr. Dotson’s career includes staff and leadership positions in maternal child health settings, including nursery, NICU, PICU, ER and public health settings in Texas, Colorado and Massachusetts and Montana. She worked in Montana state government from 1990 – 2010, serving in the Maternal Child Health Bureau and Primary Care Office and for the last 13 years as the Title V Maternal Child Health Director. Dr. Dotson was a faculty member at Montana State University and Carroll College before moving to Washington state. Dotson, J.W., & Smilie, J. (2018). Rural Public Health Structure and Practice and the Role of the Public Health Nurse. In C. Winters & H. Lee (Eds. ), Rural Nursing: Concepts, Theory, and Practice. 5th Ed. (pp. 361-374). NYC, NY: Springer Publishing Co.
Dotson, J.W., Burduli, E. & McPherson, S. (2018). Substance Use and Abuse in Rural Communities. In C. Winters & H. Lee (Eds. ), Rural Nursing: Concepts, Theory, and Practice. 5th Ed. (pp. 375-384). NYC, NY: Springer Publishing Co.
Erickson, N., Gartstein, M. & Dotson, J. (2017). Review of Prenatal Maternal Mental Health and the Development of Infant Temperament. JOGNN: Journal Of Obstetric, Gynecologic & Neonatal Nursing, 46(4), 588-600. doi:10.1016/j.jogn.2017.03.008. Dotson, J., Pineda, R. Cylcowski, H. & S. Amiri. (2017). Development and Evaluation of an iPad Application to Promote Knowledge of Tobacco Use and Cessation by Pregnant Women. Nursing For Women’s Health, 21(3), 174–185. Dotson, J. A. W., Nelson, L. A., Young, S. L., Buchwald, D., & Roll, J. (2017). Use of cell phones and computers for health promotion and tobacco cessation by American Indian college students in Montana. Rural And Remote Health, 17(1), 4014-4014. Cheek, R., Dotson J., Ogilvie, L. (2016). 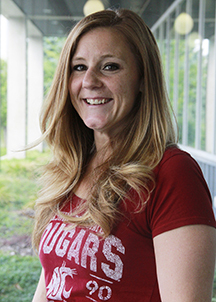 Continuing Education for Mentors and a Mentoring Program for RN-to-BSN Students. Journal of Continuing Education in Nursing. (in press). Dotson, J. A. (2013). Improving tobacco cessation for pregnant & postpartum women. Communicating Nursing Research, 46, 606-606. Dotson, J. A. W. (2011). Home visiting in Montana: effects on LBW and premature births and medicaid costs. Communicating Nursing Research, 44, 281-281. Taren, D., Varela, F., Dotson J.A., Eden, J., Egger, M., Harper, J., Johnson, R. Kennedy, K., Kent, H., Muramoto, M., Peacock, J.C., Roberts, R., Sjolander, S., Streeter, N. Velarde, L. Hill, A. (2011). Developing a University-Workforce Partnership to Address Rural and Frontier MCH Training Needs: The Rocky Mountain Public Health Education Consortium (RMPHEC). Maternal Child Health Journal. Oct; Vol. 15 (7), pp. 845-50. Dotson, J., Henderson, D., Magraw, M. (2003). A public health program for preventing fetal alcohol syndrome among women at risk in Montana. Neurotoxicology and Teratology. 25, 757 – 761. Dotson, J.W. (2002). Squeezing the Turnip – Equitable Distribution of Funding to Provide Maternal and Child Health Services in Rural America. Nursing Leadership Forum, 7 (1), 16-19. Butterfield, P., Malliarakis, K., & Dotson, J.W. (2002). Billings’ Methamphetamine Epidemic: Nursing Leaders Frame A Public Health And Environmental Health Problem. Nursing Leadership Forum, 7 (1), 8-11.